We are very pleased to announce a brand new web site for the 2015 Grayland Open Event. We have a new fresh website and graphics which should make finding all the information about our event much easier for everyone. 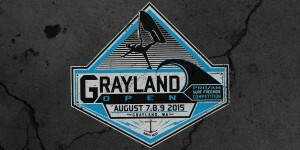 We are also stoked to announce we have re-vamped the Grayland Open logo and all social media outlets. We have been working real hard on this years Grayland Open and we hope to see a lot more people coming out to support our event. Please click around and get familiar with our site, more updates to come as we get them in. Make sure you go follow us on our social media pages. This entry was posted in Updates and tagged competition, event, freeride, grayland open, jet ski, ocean, surf, tricks, Washington, watercraft. Bookmark the permalink.